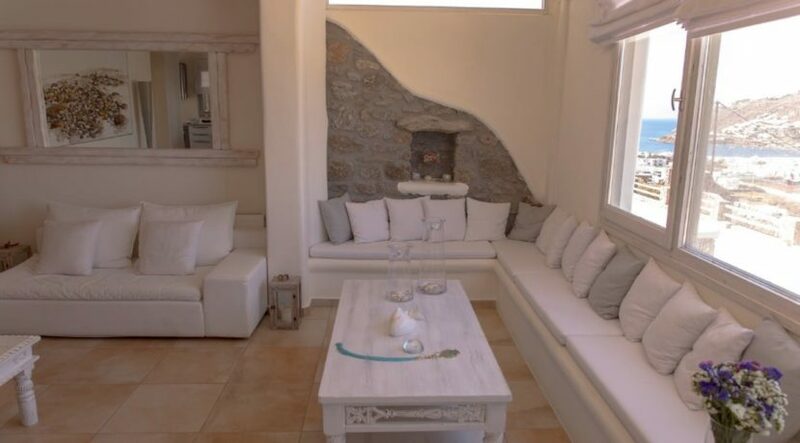 Villa is a luxury villa rental with 5 bedrooms and private pool. 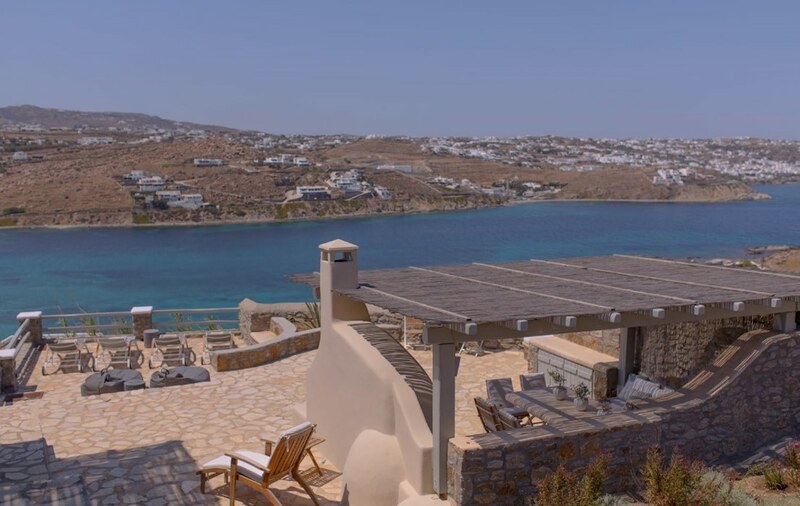 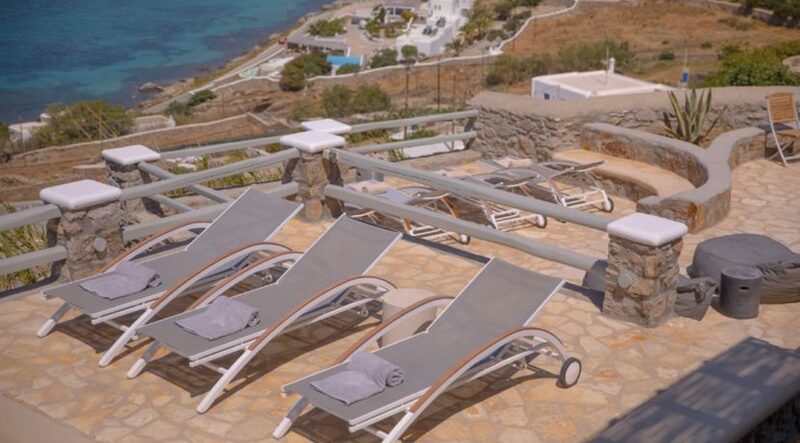 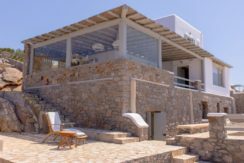 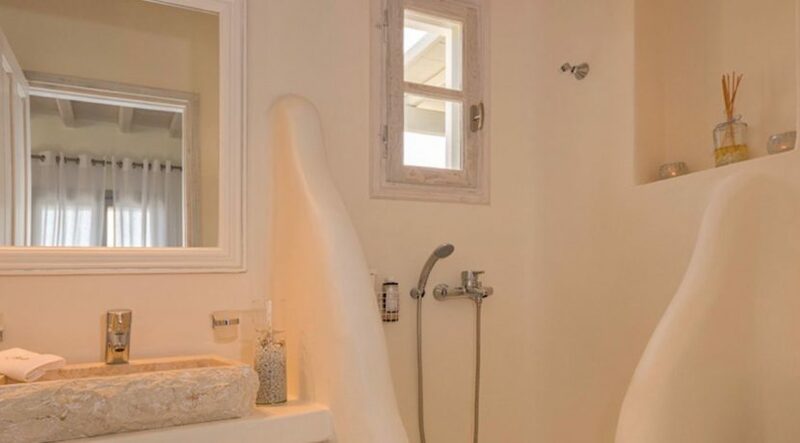 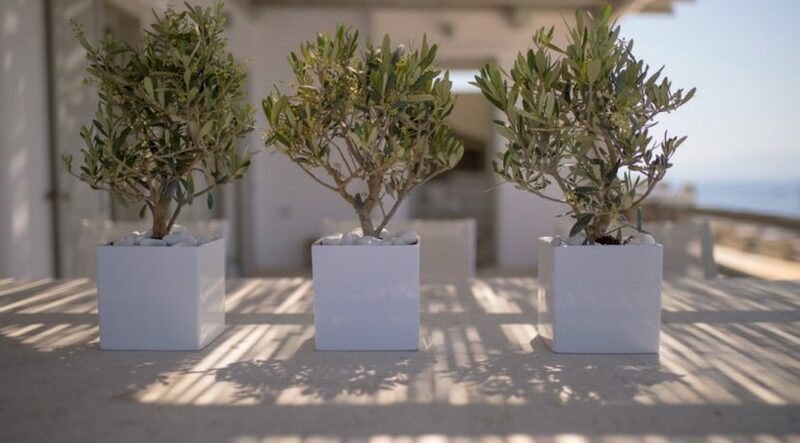 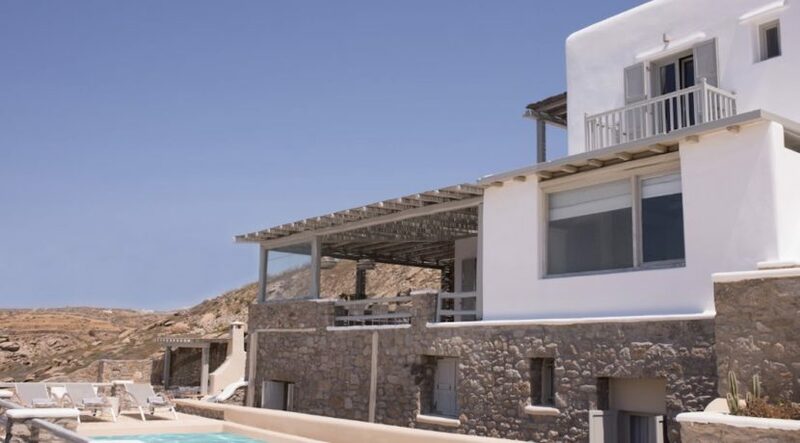 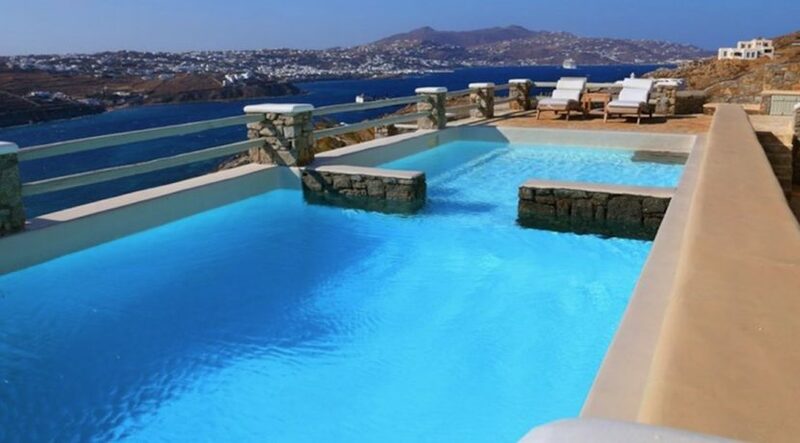 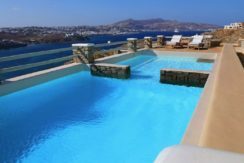 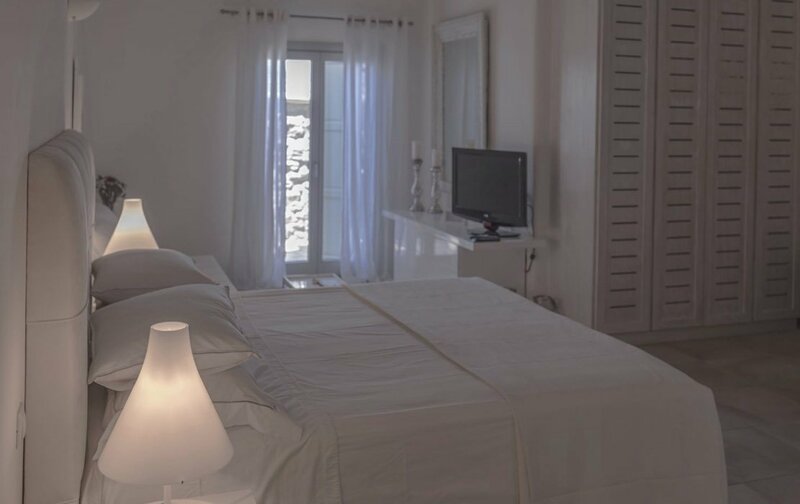 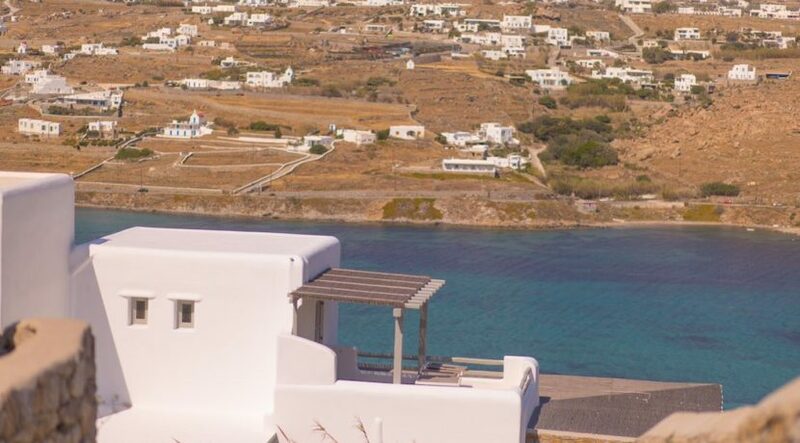 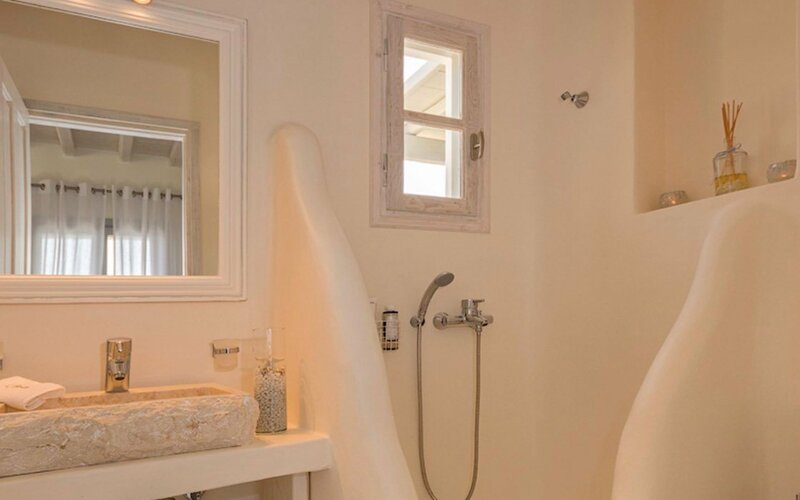 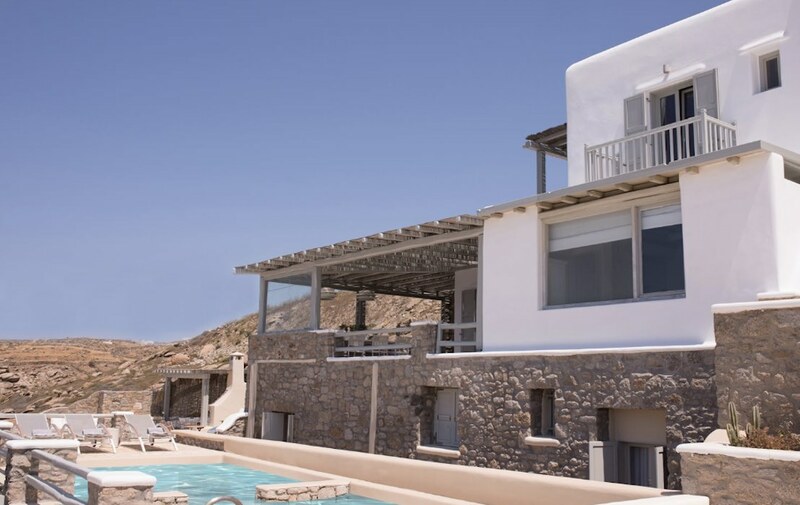 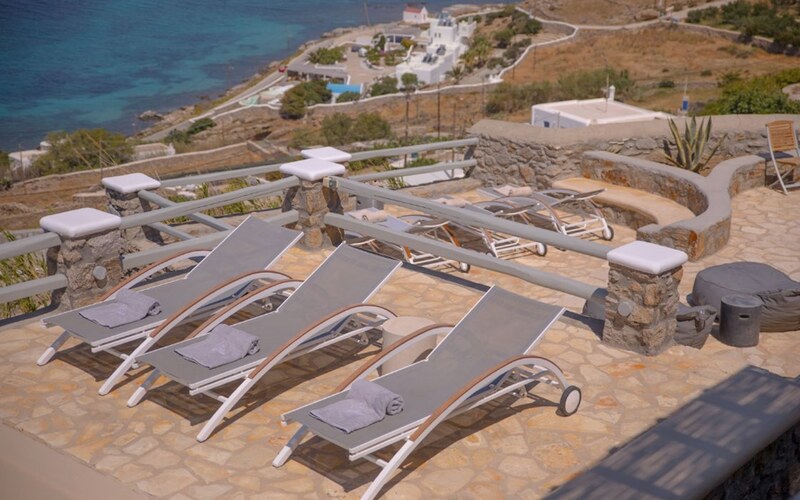 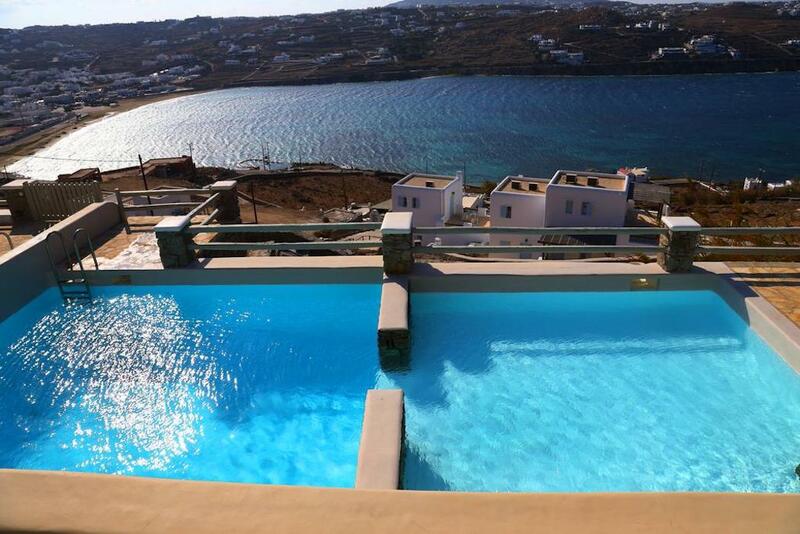 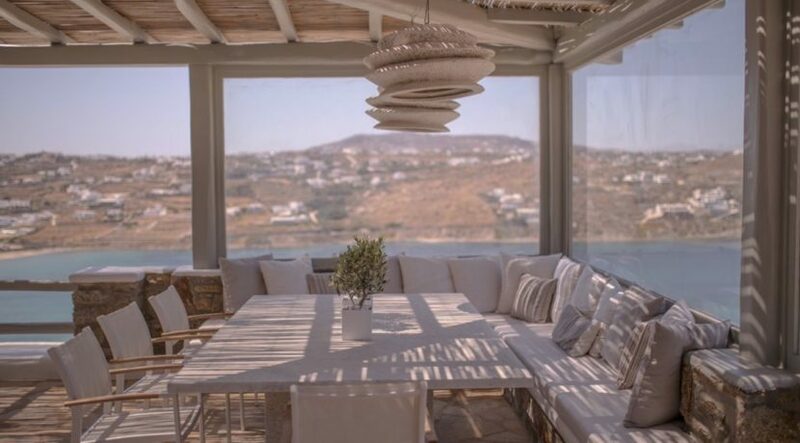 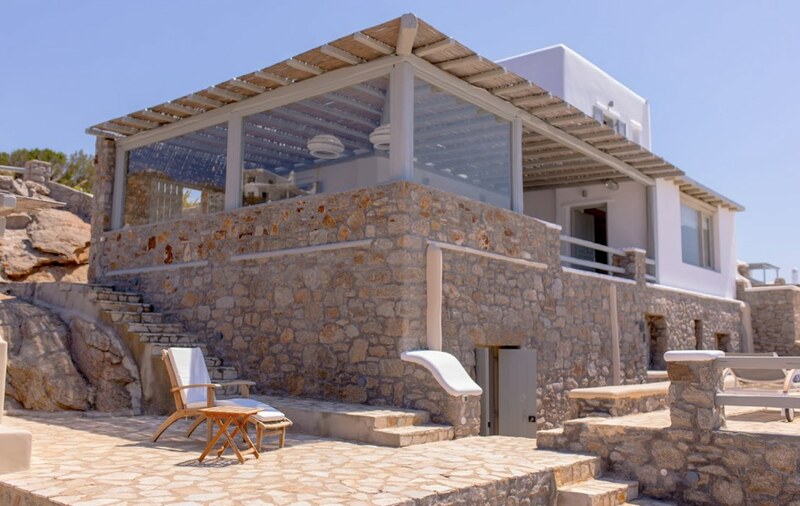 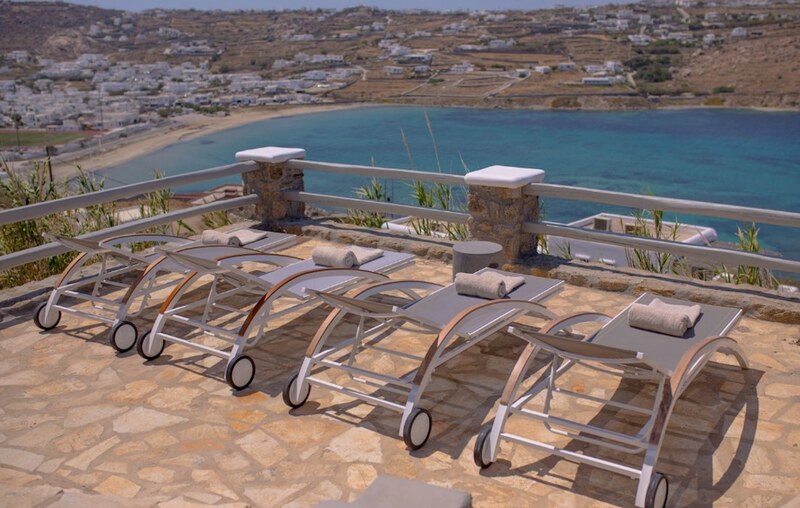 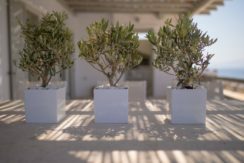 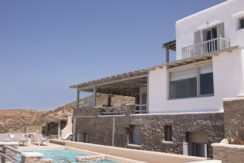 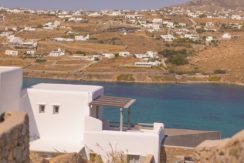 Villa is situated on the South West coast of Mykonos offering breathtaking views of Ornos Bay and in the distance you will find Little Venice and the famous capital of Mykonos – Chora. 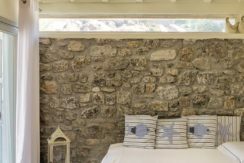 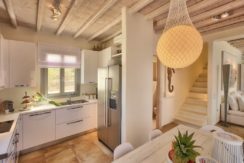 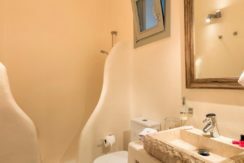 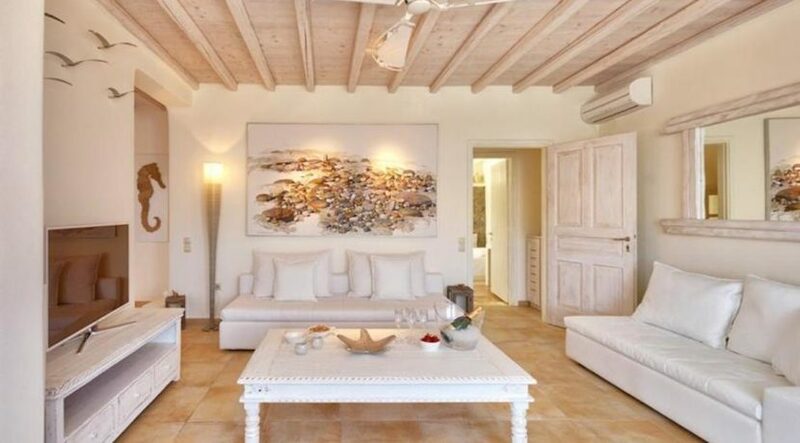 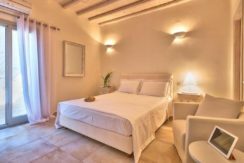 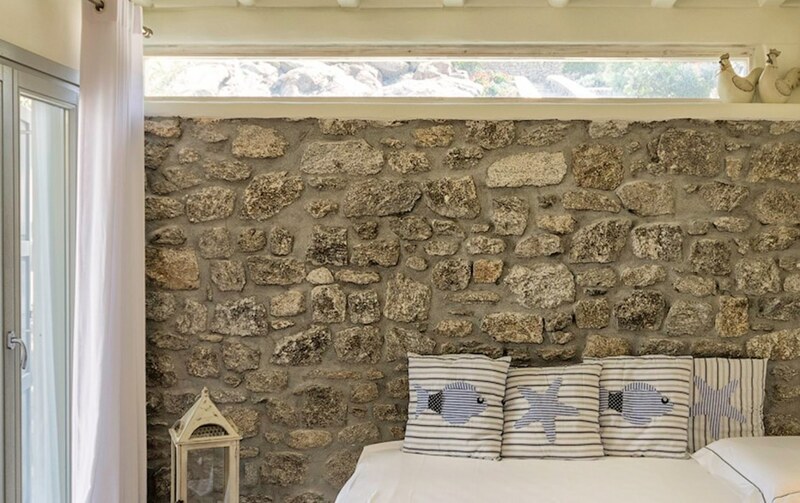 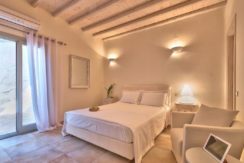 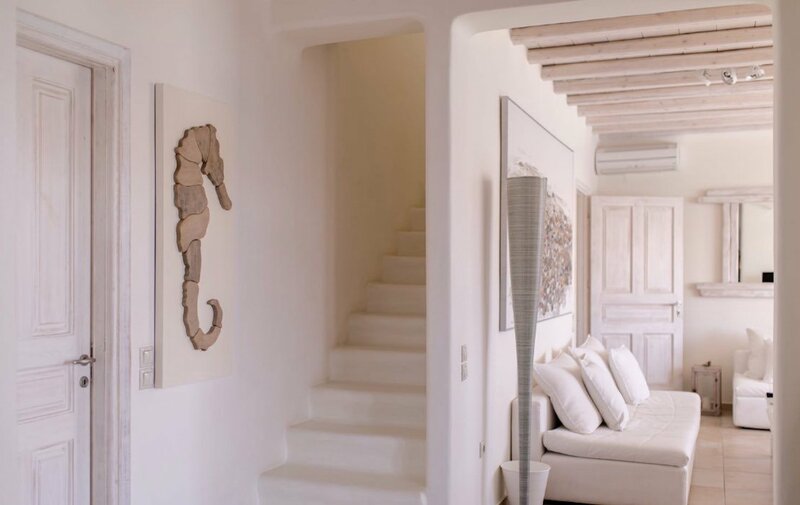 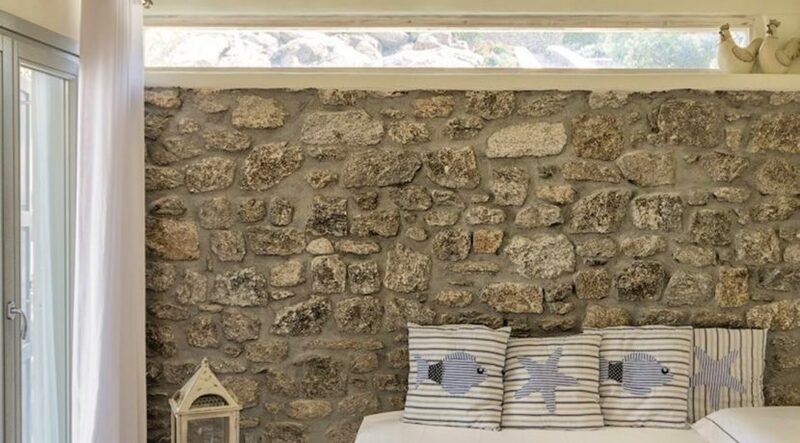 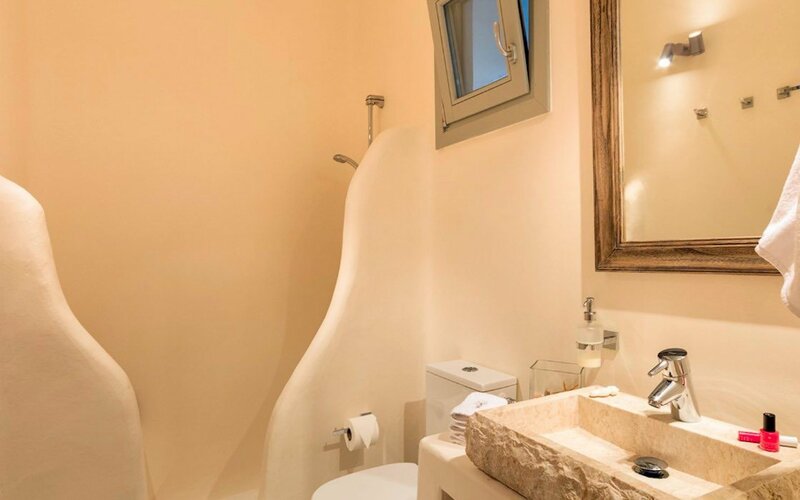 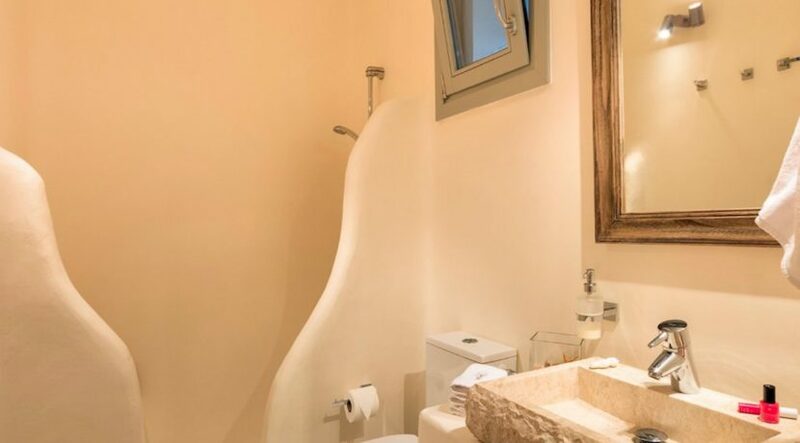 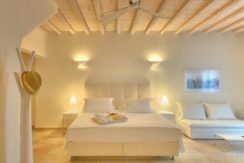 The luxury Villa was renovated by her present owners with an exclusive interior design that well suits the Myconian style. 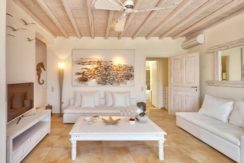 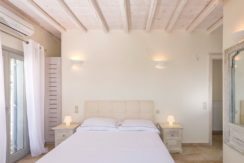 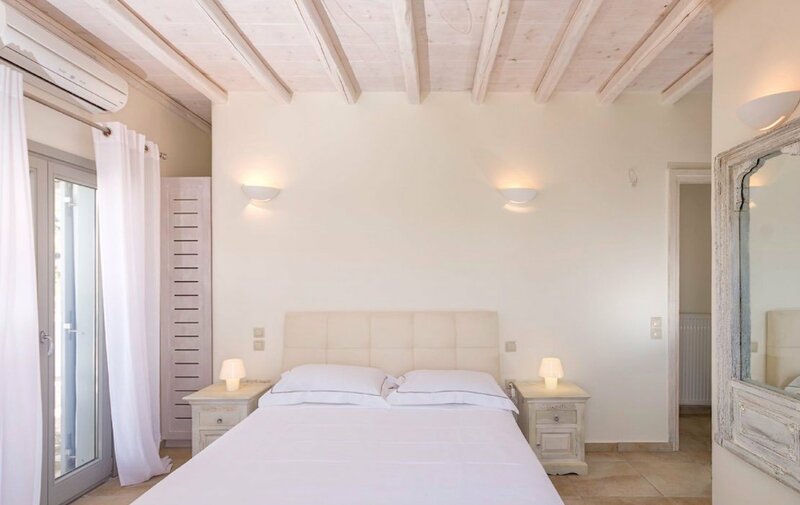 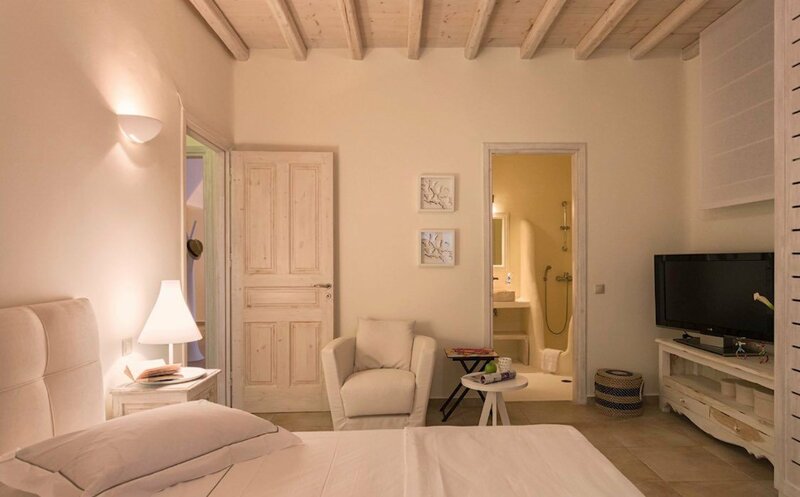 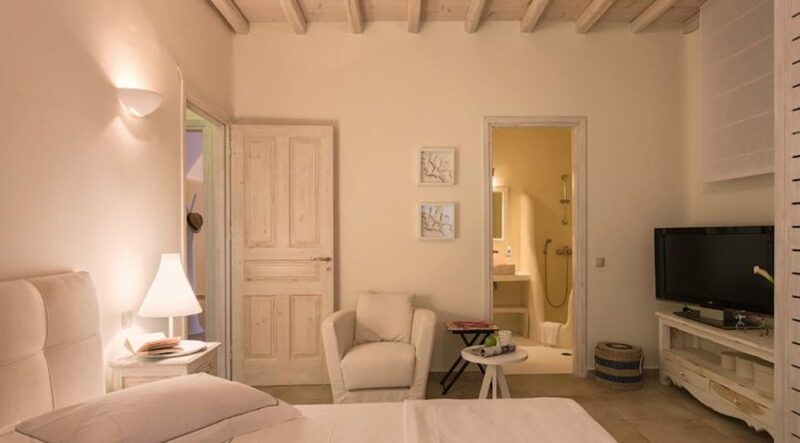 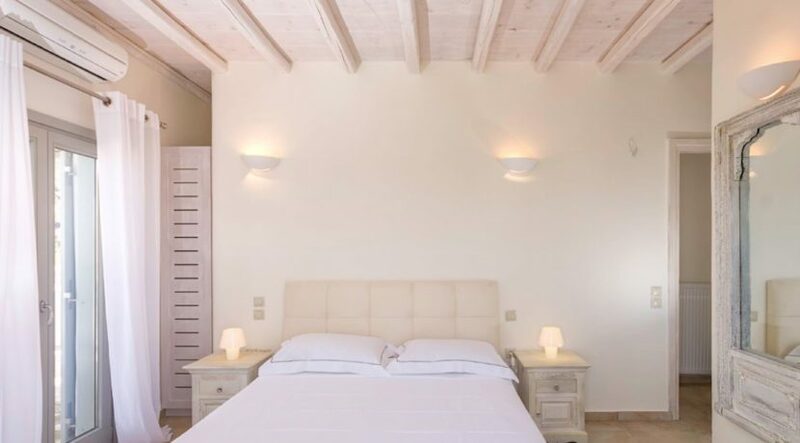 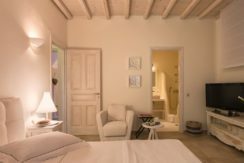 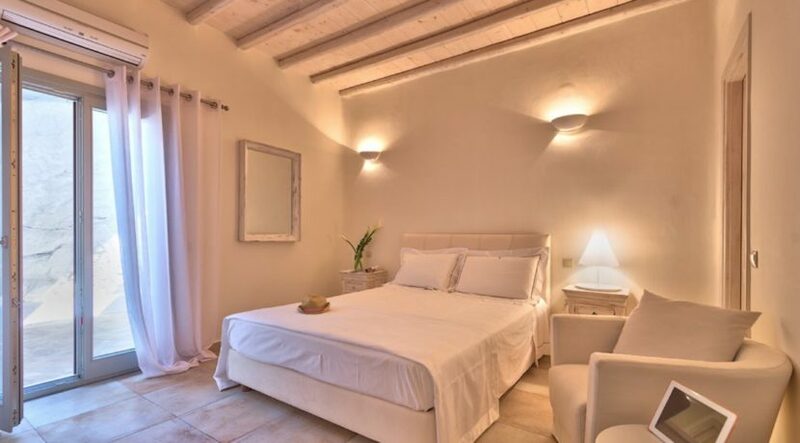 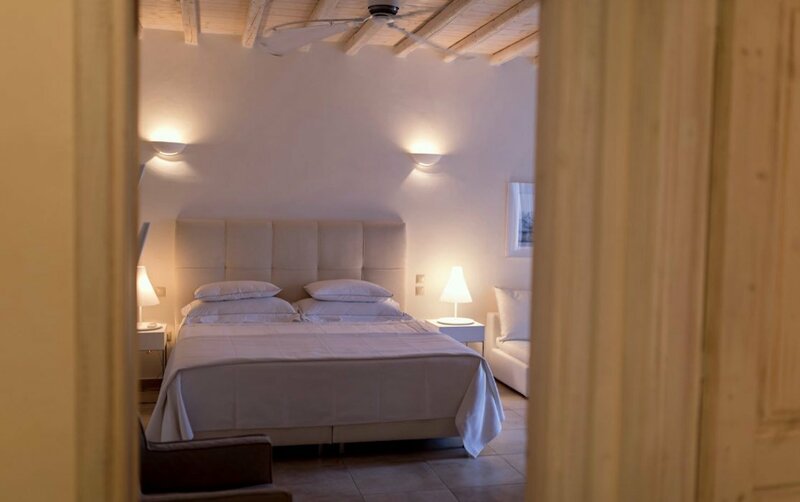 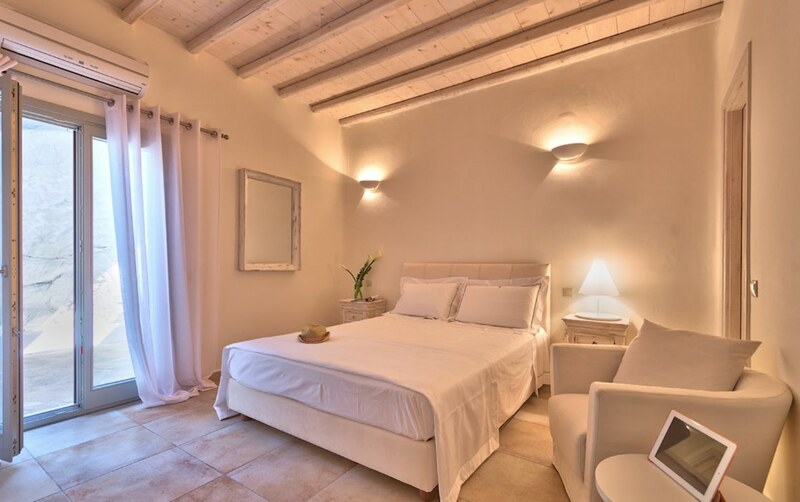 Divided in 3 levels, the spacious villa is elegantly decorated with beamed ceilings, marble floors and white-wooden furnishings. 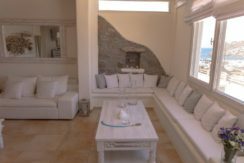 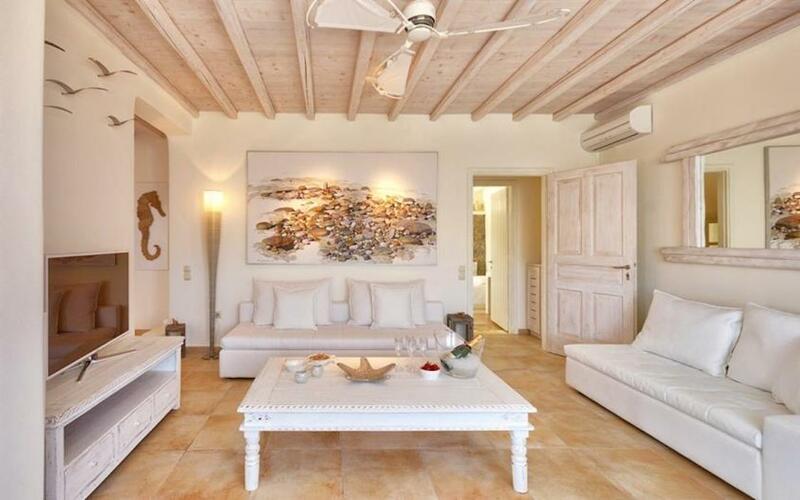 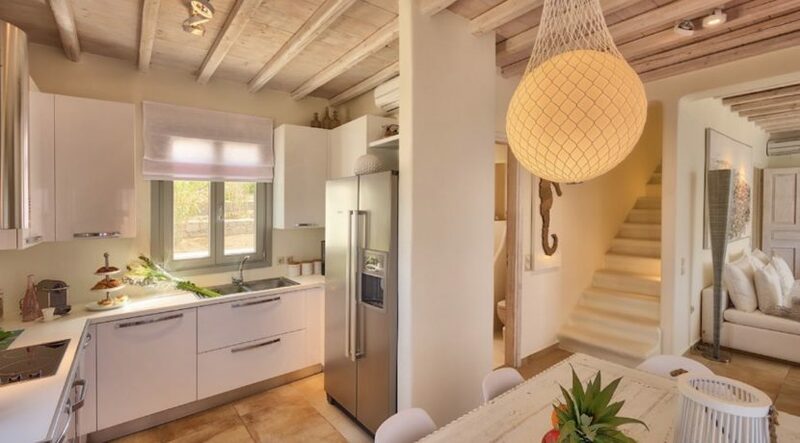 It consists a living room with sea view, a modern fully equipped kitchen with dining area and 5 bedrooms. 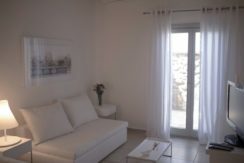 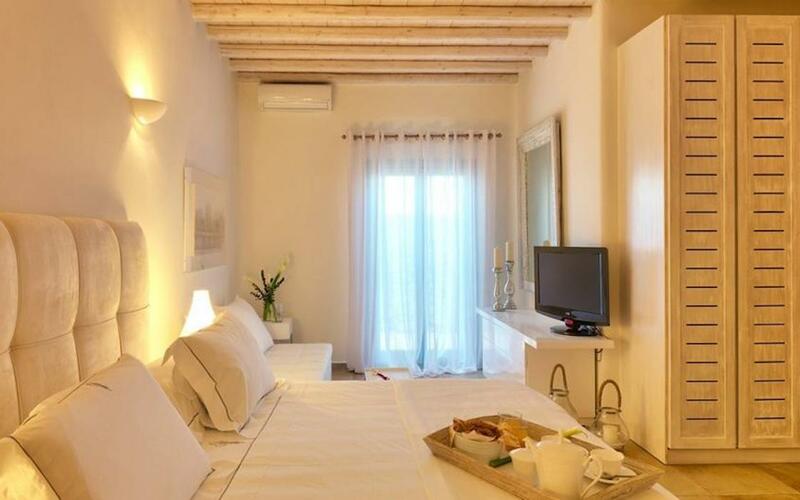 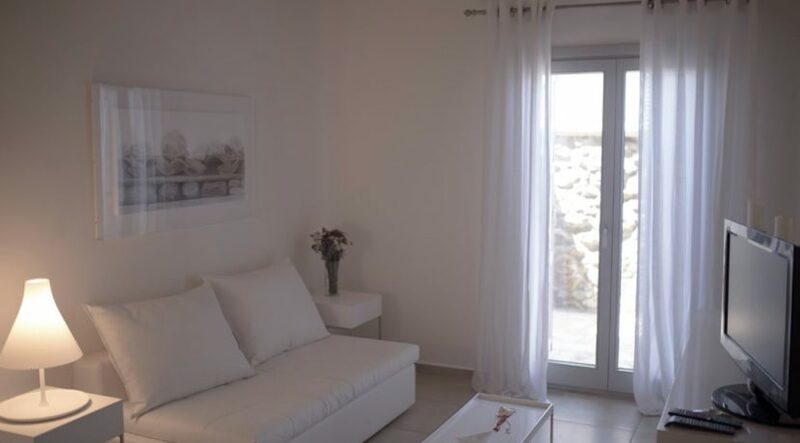 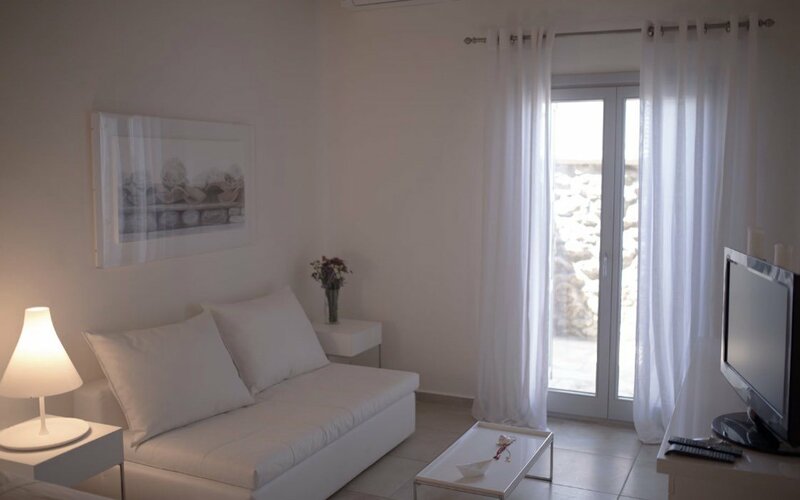 1st floor – 1 bedroom Room with sea view, its own private terrace, pergola and small balcony, 1 double bed (1.60m x 2.00m). 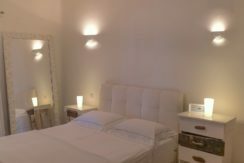 Main floor – 1 bedroom This room is suitable for one person, or private staff or as a playroom. With a built in single bed (1.00 x 2.00m), built in side desk and en-suite bathroom. 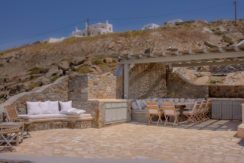 Double patio doors lead out to a small private yard with another door leading to the exterior seating and pool areas. 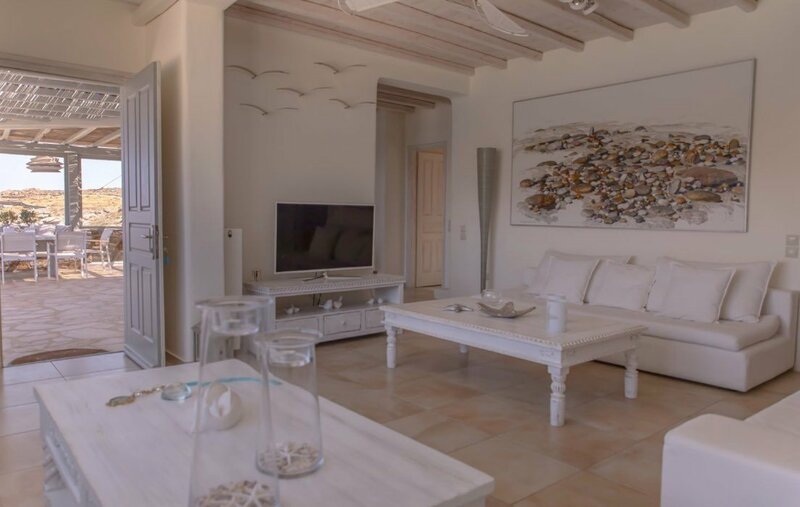 Ground floor – 3 bedrooms 1 Master suite with a King size bed (2.00 x 2.00m), small sofa, side table and coffee table, patio doors leading out to the pool, 2nd patio doors leading out to an internal tunnel which accommodates a kitchenette and cool relaxing area – ideal for children. 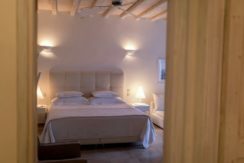 2 large bedrooms with double beds (1.60m x 2.00m), both with patio doors leading out to the internal tunnel, kitchenette and pool. 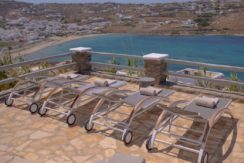 Guests can relax at the sun loungers by the pool or enjoy al fresco dining at the shaded dining area overlooking the sea. 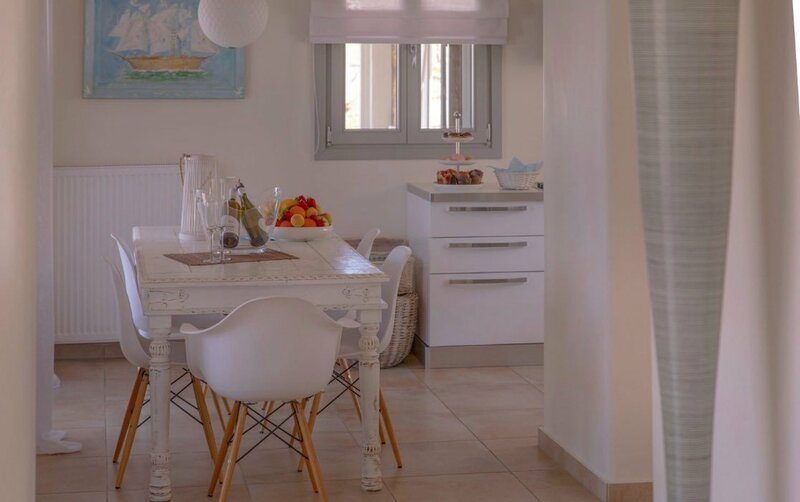 A bottle of wine, fresh fruits and refreshments are offered upon arrival. 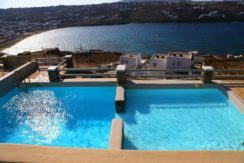 Private 50 sqm outdoor pool – shallow end 0.80m, deep end 2.20m. 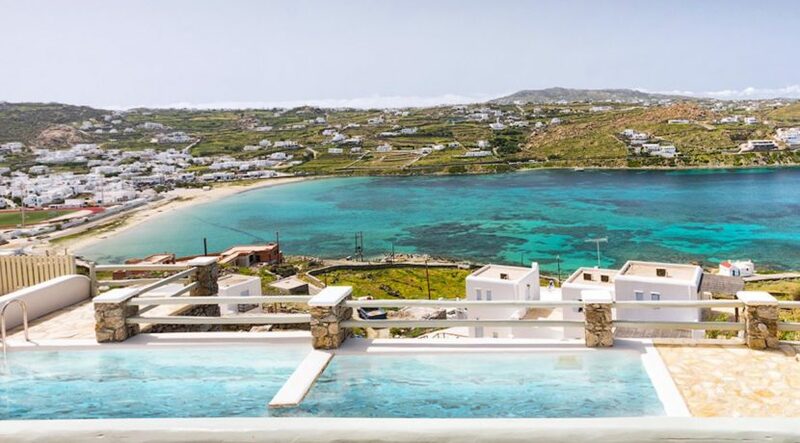 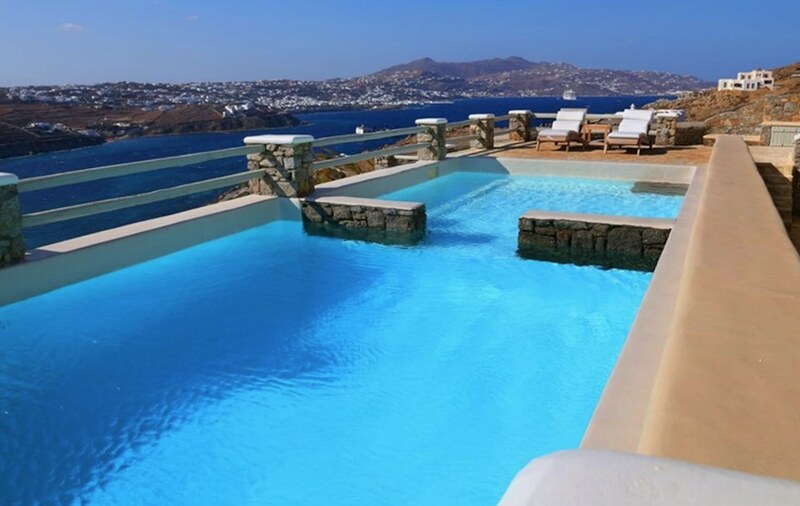 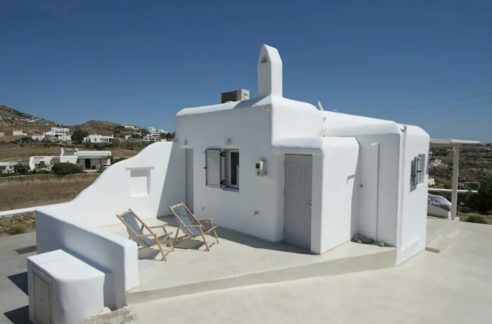 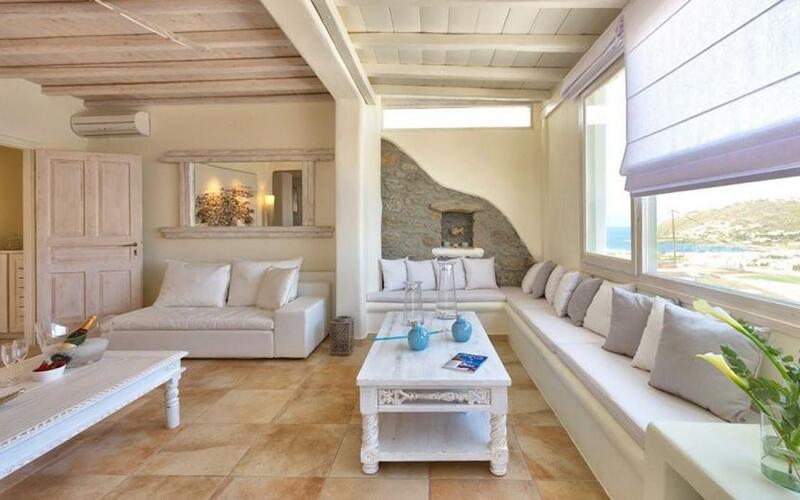 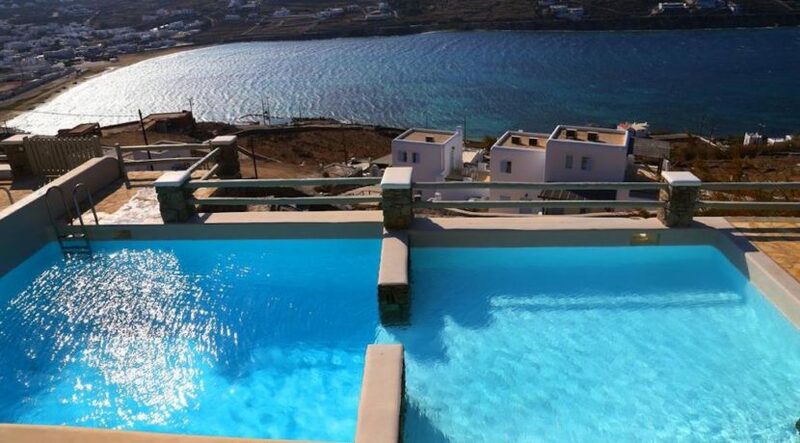 Villa is located in Mykonos, Greece. 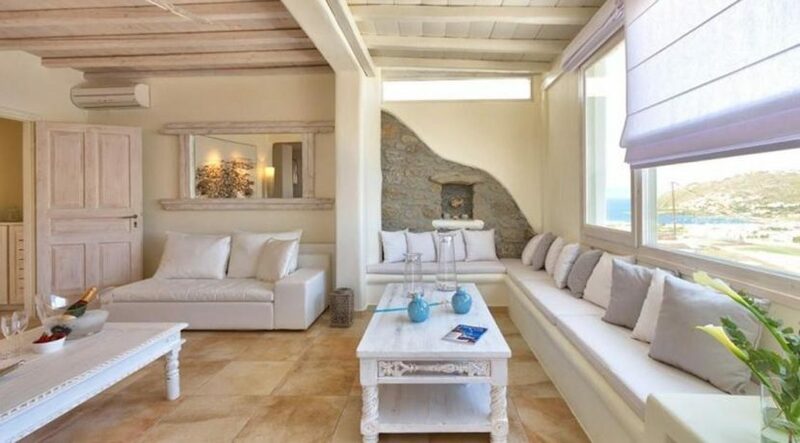 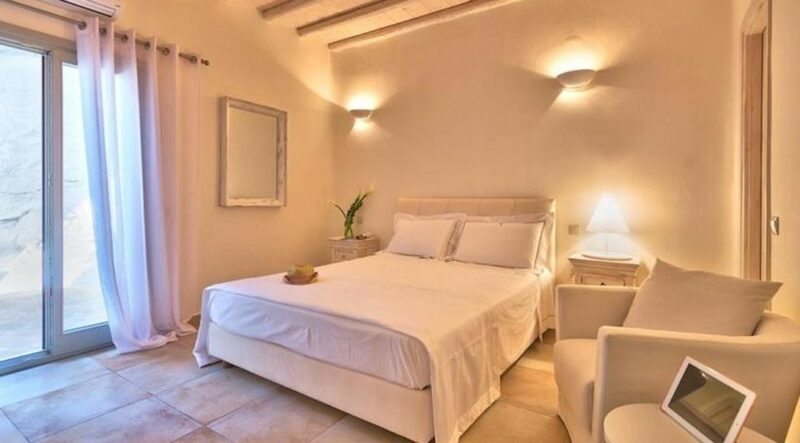 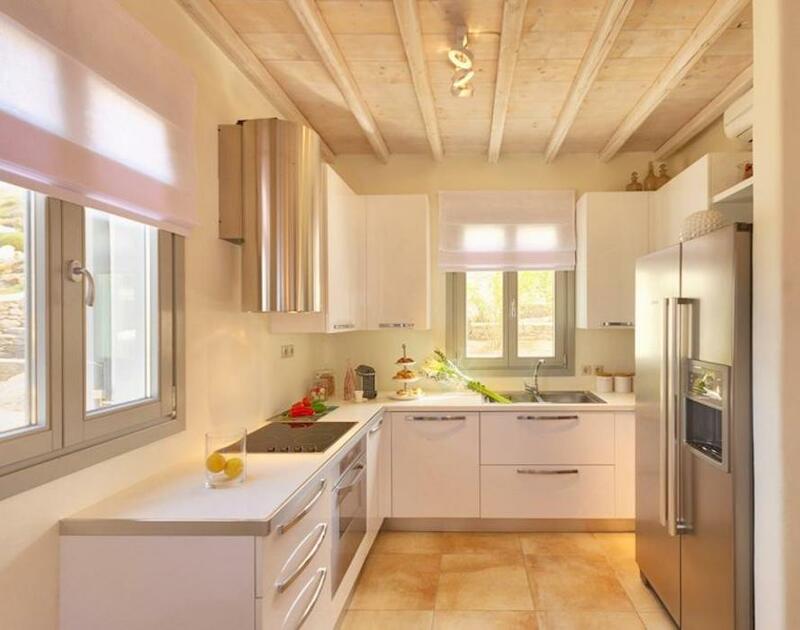 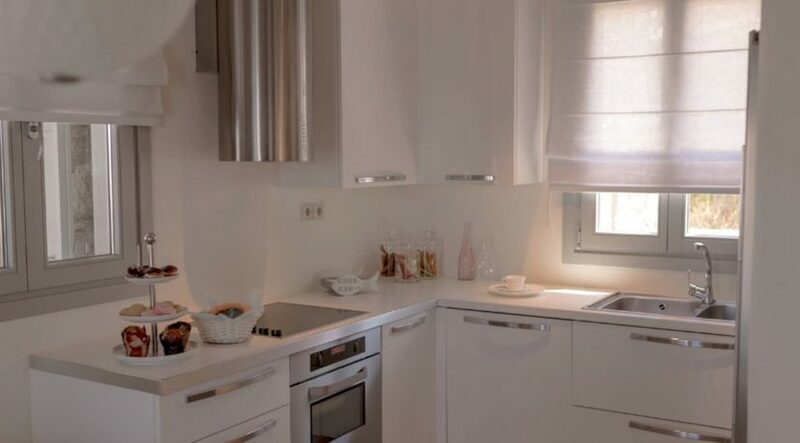 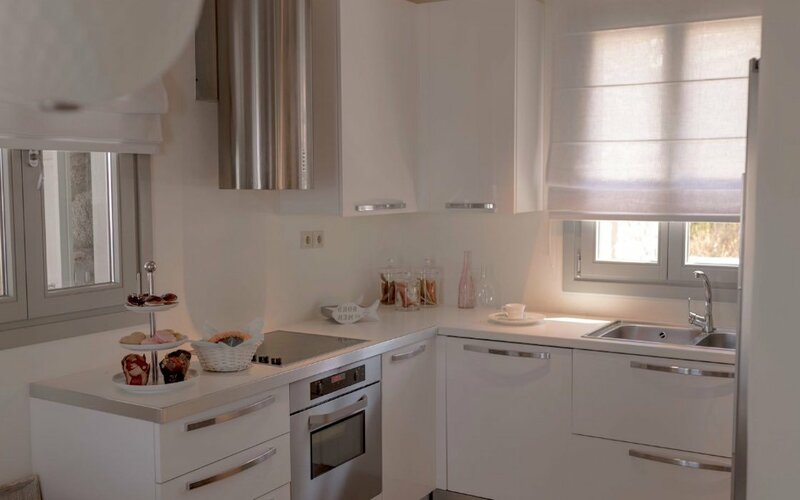 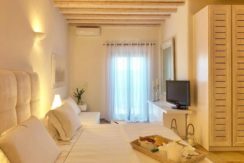 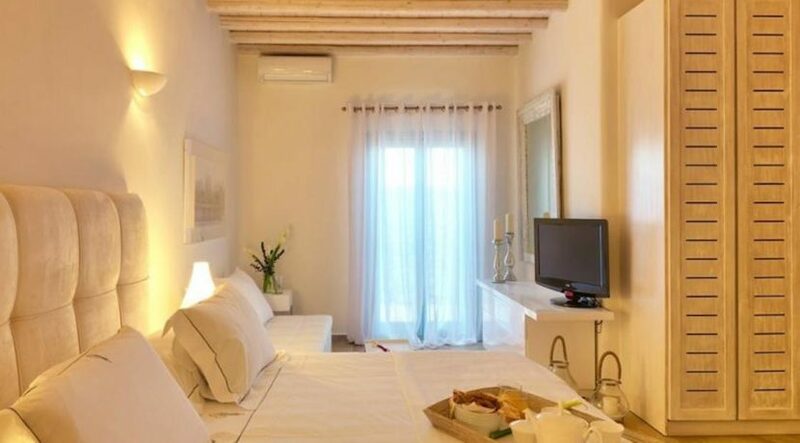 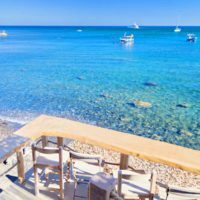 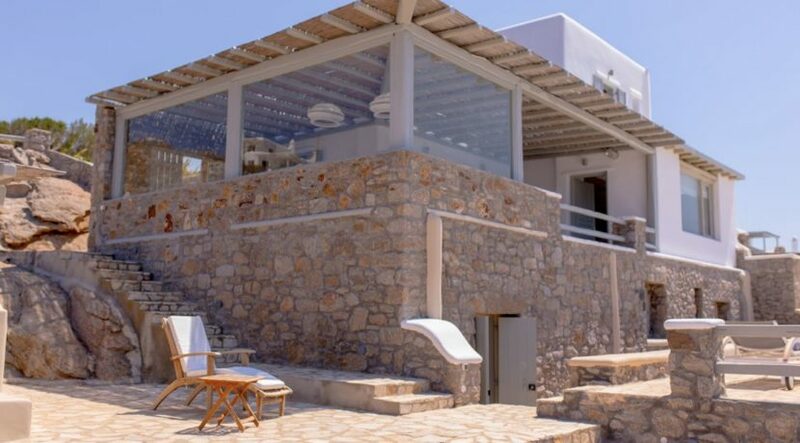 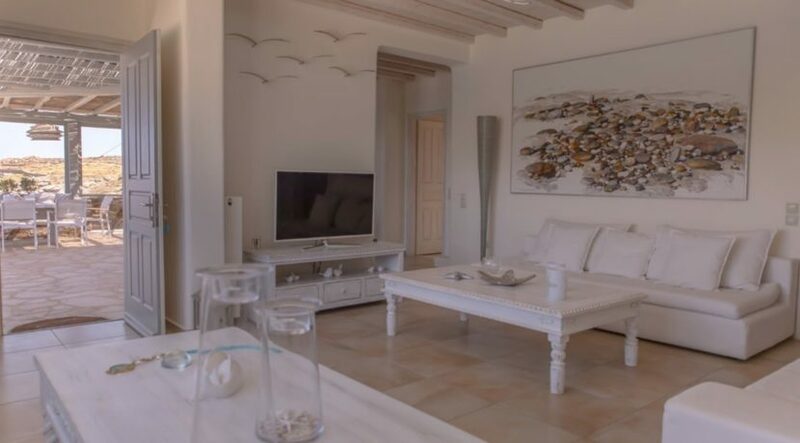 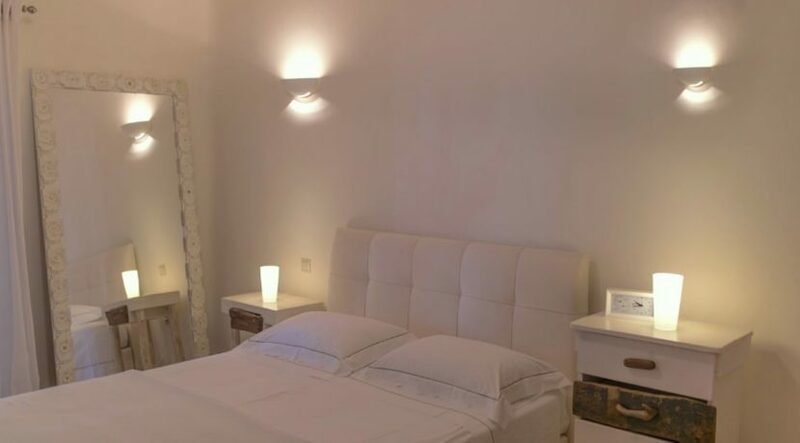 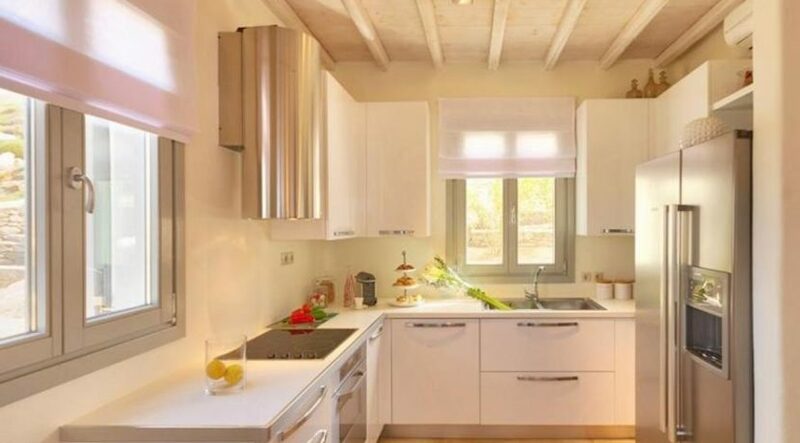 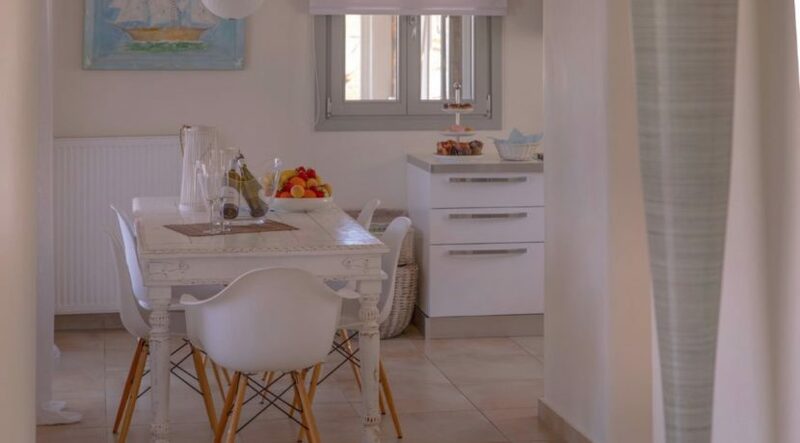 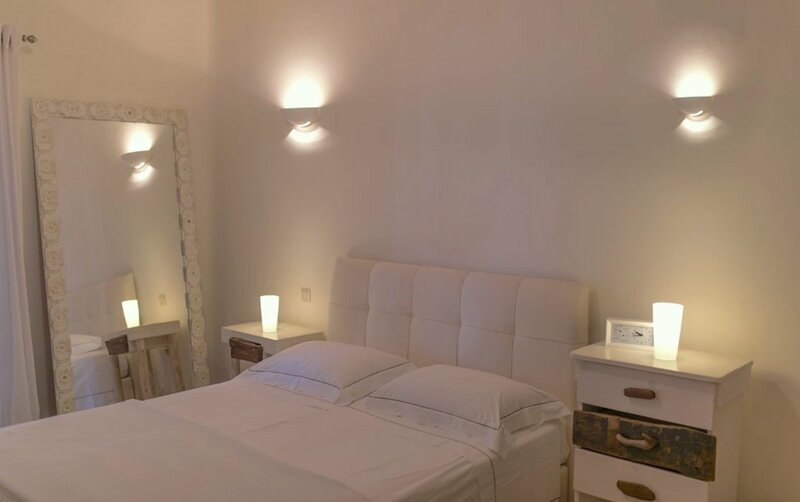 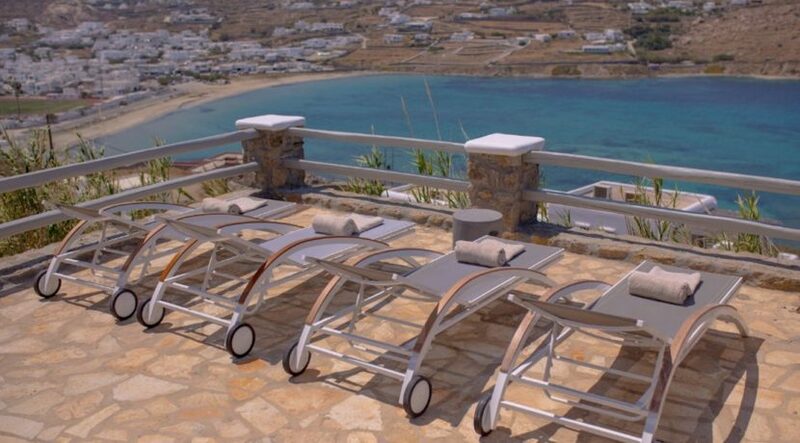 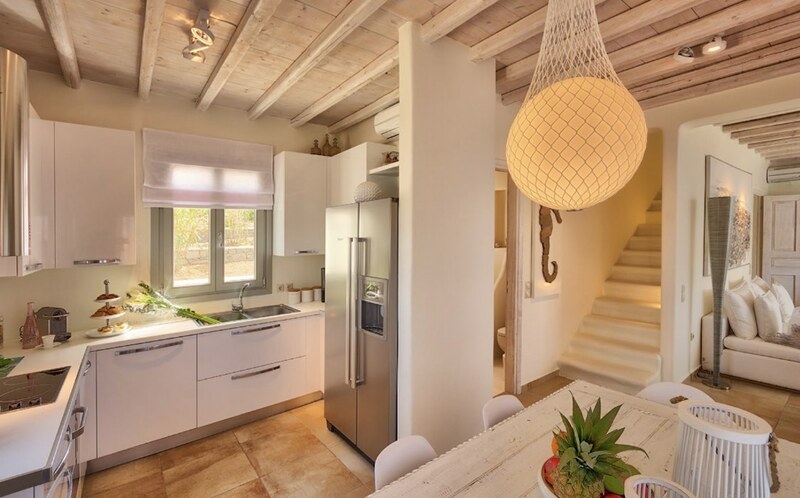 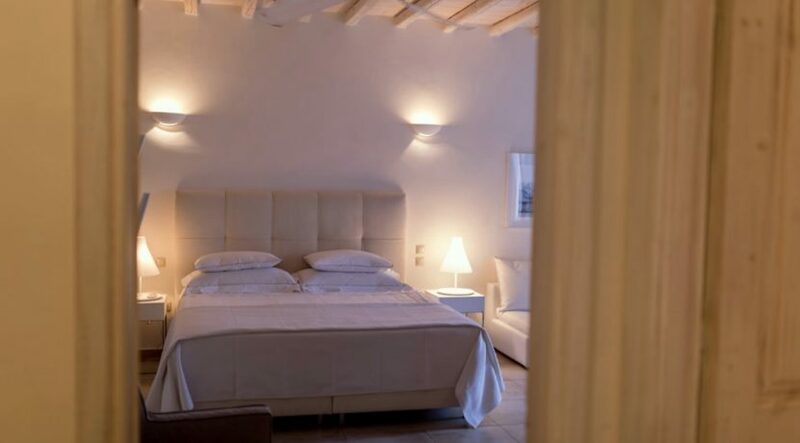 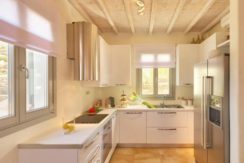 Villa is well positioned – only 5 minutes by car from Chora and the nearest organized beach, 3 minute drive to some local shops where you will find a bakery, supermarket, green grocer, fishmongers, pharmacy and dry cleaners. 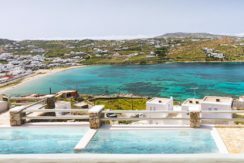 Mykonos is famed as a cosmopolitan destination amongst the Greek islands and widely recognised as one of the great travel meccas. 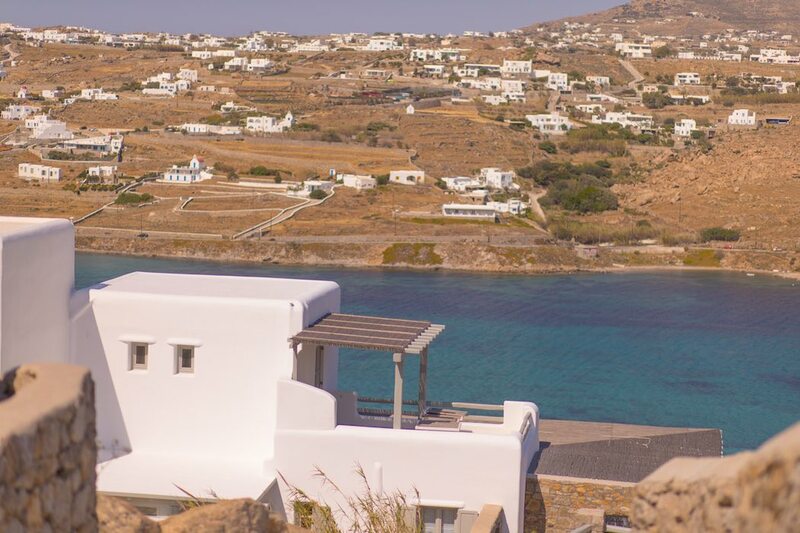 It is one of the most touristed islands in the Aegean. 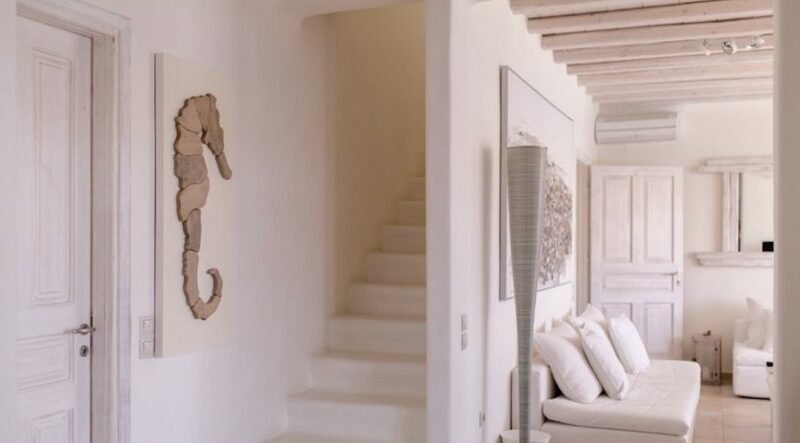 Set out on a journey to discover a fascinating world where glamour meets simplicity. 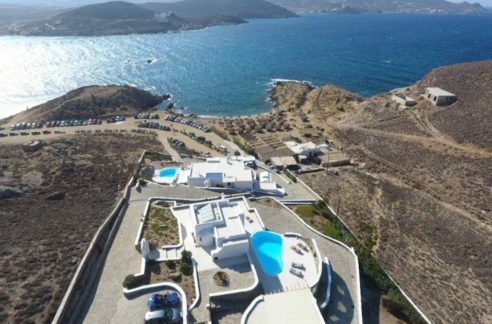 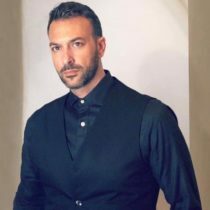 On Mykonos celebrities, college students and families mingle together to celebrate the Greek summer. 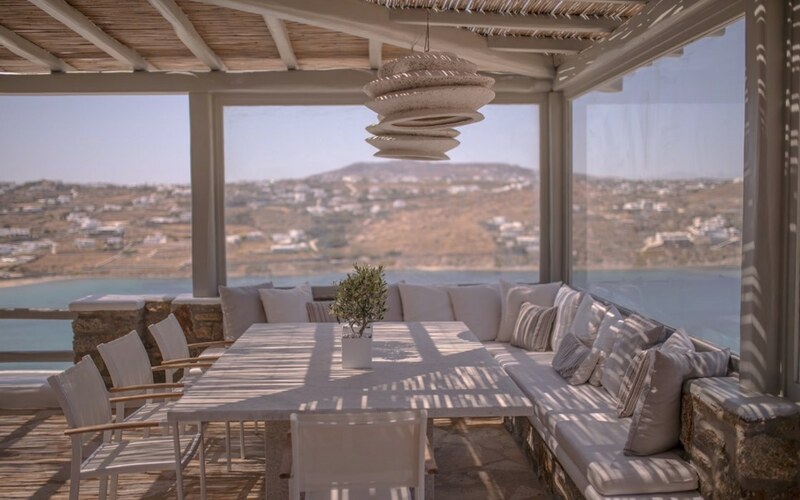 Whether you are an entertainment junkie out for a real good time, or a visitor who wishes to explore the island’s history and tradition, Mykonos will certainly meet your expectations.